We work with you to get you exactly what you need for your family. Two of the often overlooked reasons why window tint is a fundamental upgrade for your boat are Safety and Protection. Depending on how you use your vessel and where you store it, you will need different types of protection. Different customers have different needs, and this is why Diversity meets with you in person to give you an overview of your best options to get you on the water safely and with as little hassle as possible. Window film will help you control heat, increase your fuel economy, and protect your family from UV rays, but how else will it protect you? Take a look below, the list is going to surprise you. Boat window tinting offers protection from broken glass when accidents occur. When ordinary annealed glass breaks, it poses considerable danger. The shattered pieces become daggers that can cause serious injury or even death. Engineered with powerful adhesives, boat window tinting reduces the hazard of broken glass by keeping the pieces together and safely attached to the film. Glass can be one of the first casualties during a storm. When glass breaks during a storm, wind, rain and flying debris are given full access, causing damage and destruction. Boat window tinting is able to withstand extraordinary wind and force, security film helps prevent entry of water and wind-borne debris, providing superior protection 24-hours a day. Disasters can strike with little or no warning; boat window tints are always ready. Windows and doors are the most vulnerable points of entry for criminals and smash-and-grab thieves. Glass is an inviting target for vandals intent on making mischief, or worse. Alarms and security systems are helpful, but provide little protection from experienced or determined intruders. With boat window tinting, intruders cannot readily penetrate the glass, even by striking it with a heavy implement. Usually they become discouraged and quickly depart for some easier target. In an instant, an explosion can fire broken glass fragments at lethal speeds. Research conducted after explosions, points to flying and broken glass as one of the main causes of death or injury. While nothing can completely protect against powerful explosions, marine window tinting has proven effective in these moments of extreme danger. At Diversity, we work around your schedule to complete installations in a manner that is least disruptive to your business. We have the capacity for complete boat window tinting in the daytime, evenings, or on weekends. We survey every customer at the completion of a marine window tinting job to ensure the quality meets, or exceeds, their expectations. 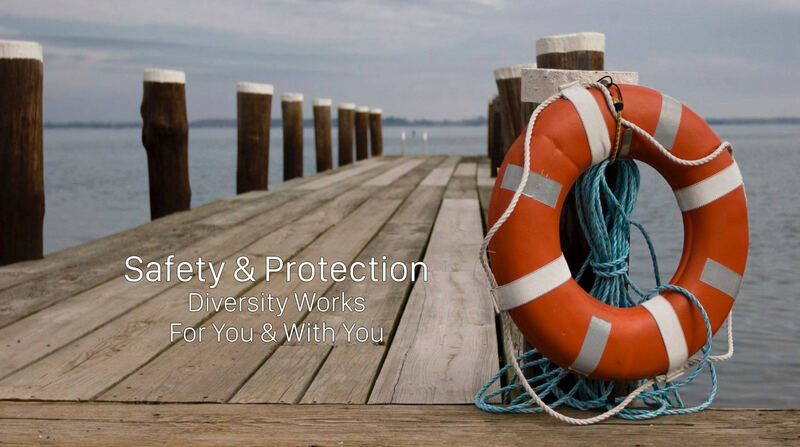 Diversity’s expert window film professionals can help you choose from our many marine and boat window tinting options, and will assist you throughout the entire process. Call or send us a message to schedule an appointment for a FREE no obligation consultation and estimate for any boat window tinting option.